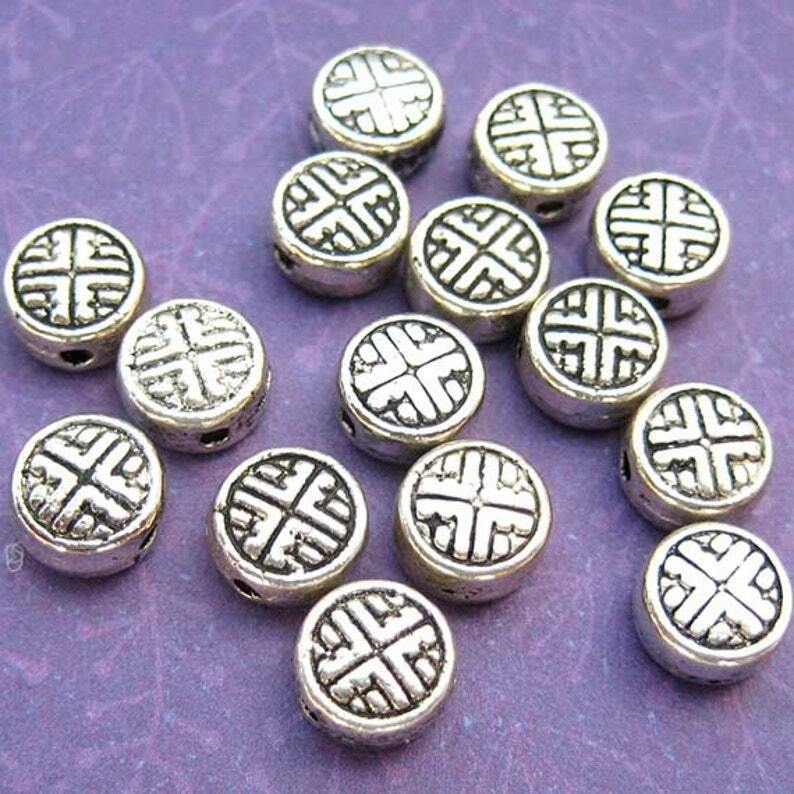 These flat round coin beads have a geometric cross pattern (slightly reminiscent of a Celtic or Chinese design) is stamped on both faces of this disk bead and the edges are smooth. 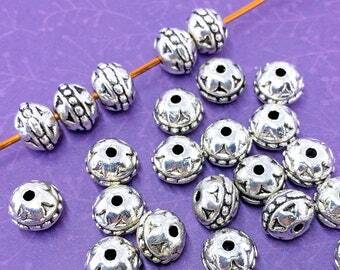 An antiqued finish has been added to bring out the details. 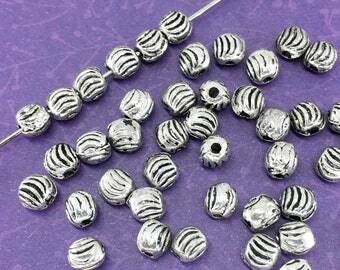 The antiquing effect varies and the beads you receive may have more or less antique effect than the photos show. 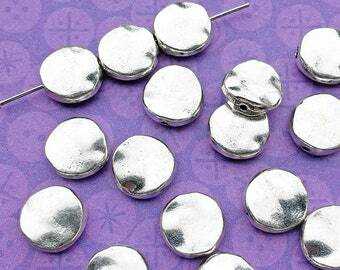 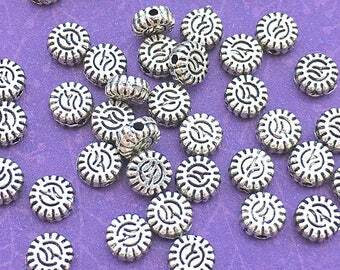 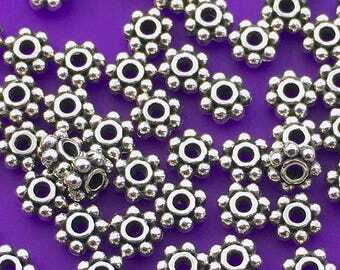 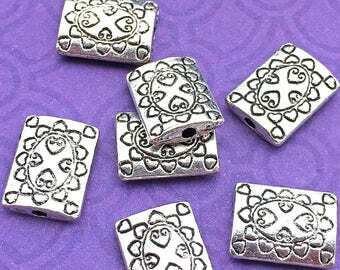 They are about the size and shape of a tiny watch battery, but of course cannot be used as batteries because that would be silly—these are beads! 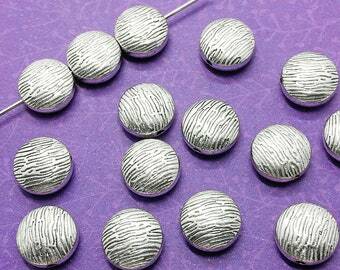 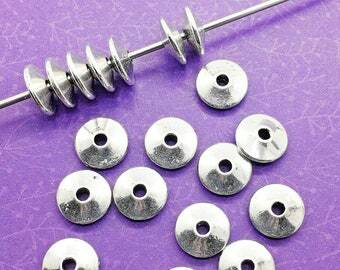 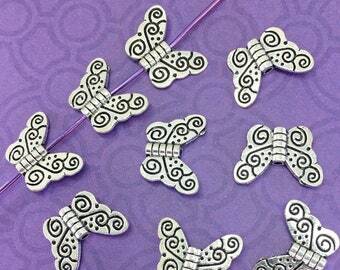 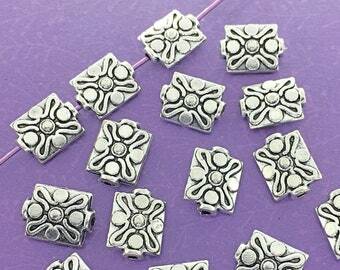 You will receive thirty five (35) of these nifty little disk beads (sold loose, not strung).